The evil Lord Drayvon has captured legendary Power Rangers and is using them to create an army of evil robot clones. 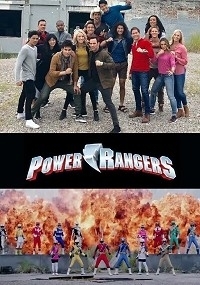 As he prepares to use dimension-piercing arrows to leave the multiverse in dissarray, a few remaining legendary Rangers recruit the latest generation of Power Rangers to face down Lord Drayvon, free their friends, and save all of reality, but can even the greatest Ranger of all time prevail against a duplicate of himself? 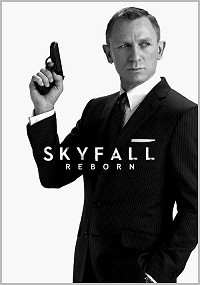 This edit removes all references to Bond being old. Instead, he is simply old-fashioned and off his game due to injury. Additionally, a new gun barrel sequence opens the movie, two scenes are rescored, and the Roger Moore-esque casino brawl is removed, among other changes. This is a Silent Movie edit of “Creature From The Black Lagoon”, re-scored using John Williams’ “Jaws” soundtrack. It makes even heavier trims to the narrative than my B+ edit, removing a further 20 minutes, resulting in a sort of atmospheric “super-cut”. Narratively, I’ve gone for a different twist on the prologue, aiming for a similar tone to that of Metropolis. Where possible I have also tried to make dialogue reference notable lines from Jaws. Scene-wise I’ve been more liberal with the cutting, removing whole events and pairing up scenes in order to make my new, shorter narrative fit. This is the discussion thread for Week of April 14, 2019 – New Fanedits. Post away!